Outfitting a restaurant, office, or medical building? 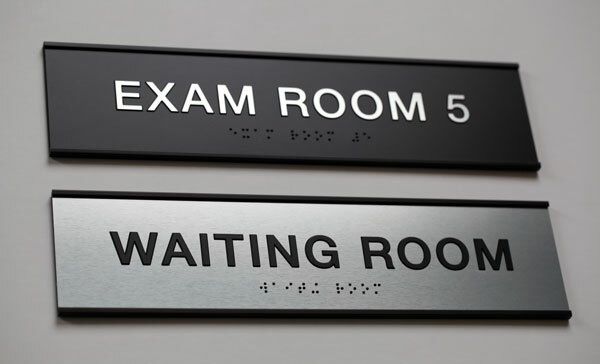 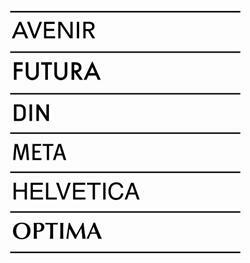 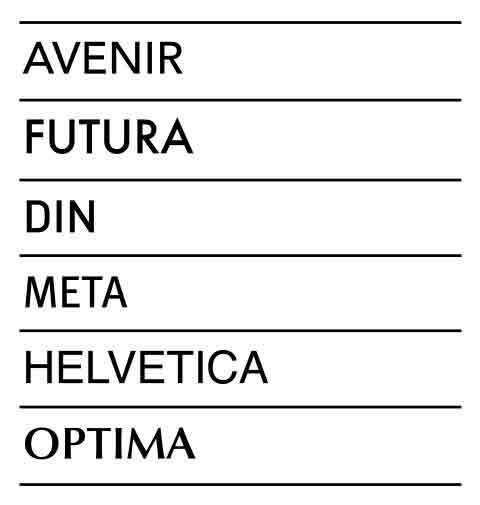 These sleek, contemporary, ADA compliant signs can be customized with either tactile black lettering on a brushed silver plate, or brushed silver lettering on a matte black plate. 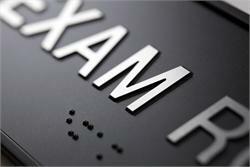 Plates are enclosed in matte black metal frames, and ADA braille dots are included. Personalized braille door signs. Each sign includes ADA compliant braille and tactile lettering. 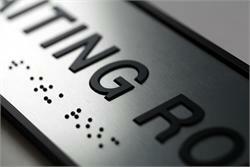 Custom ADA compliant braille office signs.